The smell of Fraser firs never ceases to evoke memories of childhood holidays. A favorite tradition was to journey outside with my grandparents and cousins to gather winter's natural sparkle for our holiday decorations. We clipped from branches of grandmother's prized magnolia, nandinas and lets not forget the mistle toe! This is where I had my first taste for what is possible for fresh plant material trimmed from the garden translating into custom works of living art that go beyond a bouquet of flowers. Often what looks great to the eye in an arrangement will also compliment in the outdoor living space. Design elements to pay attention to are not just simply color but also leaf texture and size. 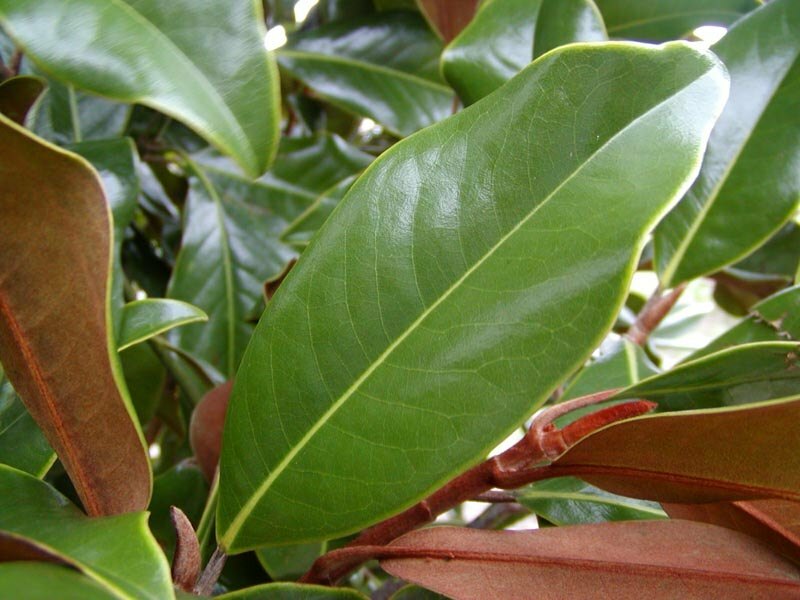 For instance, the velvet brown undersides of large, oval magnolia leaves pair fabulously with juniper's spiny pointed stems dripping with navy berries. Fresh from the farm, Osmanthus heterophyllus 'Goshiki,' adds sheer speckled light on holly shaped leaves. Adding not only color but texture to the garden and arrangements year round. 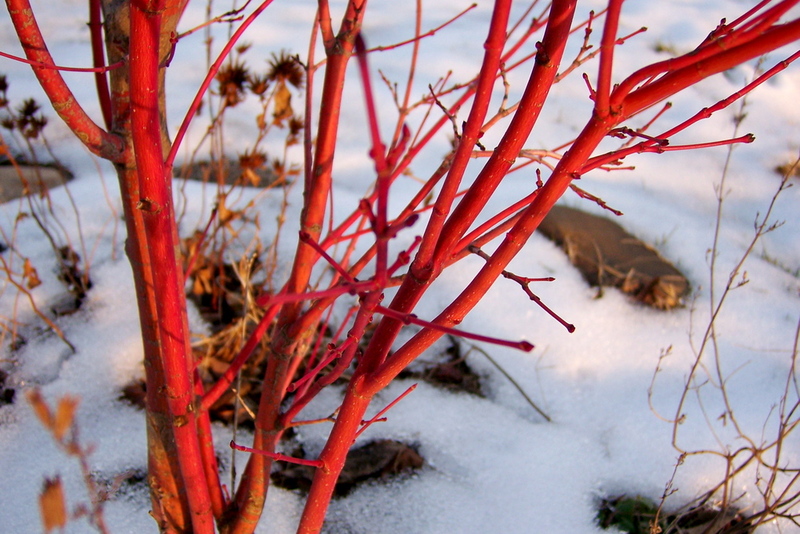 Coral bark Japanese maples are often twiggy trees and it is a great time to prune and use their branches for a linear element in decorations. The winter palette is full of color from the canary bright tones of the feathery Chamaecyparis pisifera 'Vintage Gold', to the bark of red twig dogwoods and ice blue of Cupressus glabra 'Carolina Sapphire'. The tapestry of our garden can be woven into your Christmas memories with fresh cut creations for your holiday trimmings as well as new plants for future cutting arrangements from your very own garden. Come by and our gardeners can help put the perfect plant pairings together for every outdoor living space. How thankful we are at Garden Supply to have entered into the winter celebration season. As you stop by in the following weeks enjoy not only fresh cut trees but a custom wreath making station where one can watch and learn. We offer a variety of plant cuttings that you can order fresh arrangements from or take home bundles to make your very own.